In recent years, home automation has progressed with the acceleration of smart technology. Smart phones, tablet, and other internet powered devices have become integral parts of our lives. 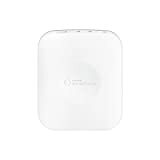 Z-Wave is a unique wireless communication protocol for running a home automatically. With Z-Wave, any home can go smart easily and quickly. Z-Wave allows you to control devices in your home and build the best possible smart home. By integrating Z-Wave Smart home products, you’ll be able to intelligently control and customize details like lighting, temperature and home security through voice commands. This standardized technology has been developed for automating residential and light applications, security systems, access control systems, remote controls, Internet gateways, and PC applications. Z-Wave products enable a number of devices to communicate at the same time to make sure the system operates smoothly and efficiently. 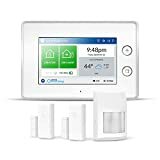 Savings: Z-Wave home automation works effectively to save you money on your light, heating, and air conditioning bills. Security: The Z-Wave automated security system keeps your home under surveillance so that you can receive alerts and act quickly to deal with unexpected situations. Z-Wave Alarm Monitoring Gateways– These gateways can be joined with a monitoring service for complete home security. Z-Wave monitoring gateways relieve stress because you are aware that someone is monitoring your home 24/7. Z-Wave Door Locks & Deadbolts—when you attach the smart lock to the hub, you will be able to unlock your door remotely from any location on the globe. 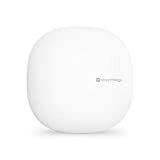 Z-Wave Motion Detectors and Sensor– the Motion Sensor wirelessly communicates with your Hub to send you an alert when activity occurs. You will receive alerts when there is unexpected motion in your home while you’re away. Each of these products has passed or exceeded strict tests to meet or exceed the Z-Wave standard for performance with other Z-Wave products. Monitored security systems are organizations that are continually watched by a professional security company. When the system discerns a break-in, fire, or other emergency, the proper authorities are contacted. Our home security equipment is designed around the premise of complete home protection. It uses motion detection, video surveillance, and remote system control. Remember, Z-Wave is a respected and well–accepted technology that makes wireless home control practical for any household. Protect America is committed to protecting homes and families through monitored home security.